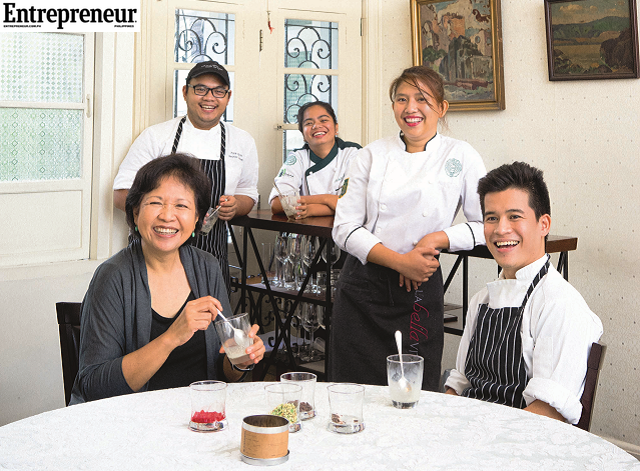 A passion for the best ingredients is what guides chefs Amy Besa and Romy Dorotan, who put up Cendrillon, a restaurant that pioneered upscale Filipino food in the SoHo district of New York in 1995. The challenge was that high-quality Filipino ingredients are both hard to find and expensive in US-based stores. At Cendrillon, they worked around this limitation by focusing on a key ingredient: heirloom rice. “It’s rice that grew from our soil, from grains chosen and sown by our farmers,” Besa said. Besa and Dorotan were careful in targeting the Filipino market. They chose Cendrillon—which is French for Cinderella—as the name of their first restaurant to signal that their dishes deviate from the strictly traditional. Still, Cendrillon was tagged as a “Filipino restaurant in Manhattan” and scrutinized for serving pan-Asian food. 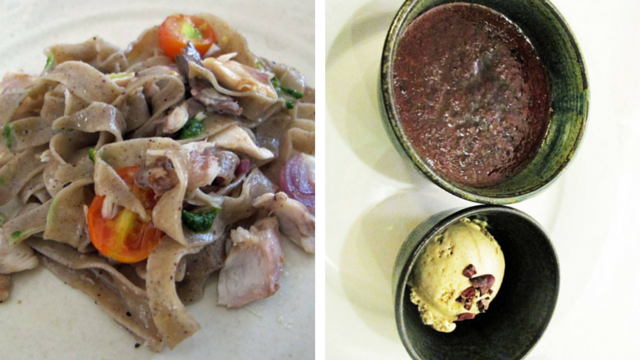 Curiously, the most hurtful barbs thrown their way came from Filipinos who questioned the food’s authenticity. The couple toughened it out. They were confident in their product, both having firsthand knowledge of Filipino food, and having spent time studying it across the length and breadth of the Philippines for their 2006 book, Memories of Philippine Kitchens. 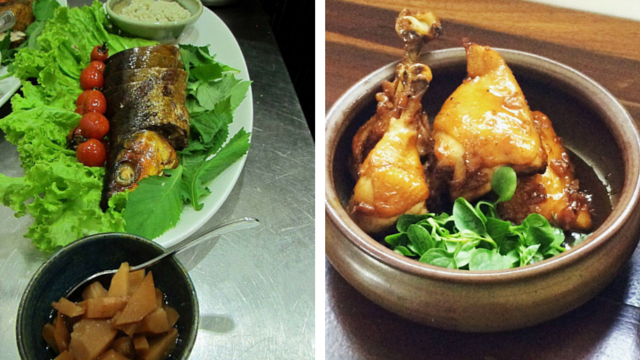 In time, their take on Filipino cuisine, became a benchmark. Heirloom rice remained the star when Cendrillon evolved into Purple Yam and moved to Brooklyn in 2009. “In a way, we forced people to like heirloom rice by pairing it with our bestselling dishes. Eventually people asked for it,” Besa said. Reputation is an important success factor in the story of Besa and Dorotan. “Before Cendrillon, my husband had been cooking American food and getting good reviews. We had a name to start with,” Besa recalled. They also invested time on their patrons, to the point that people would sometimes ask whether the couple would be at the restaurant before making reservations. “We were the brand,” Besa said. The same is true of Purple Yam, where they are on first-name basis with their patrons. 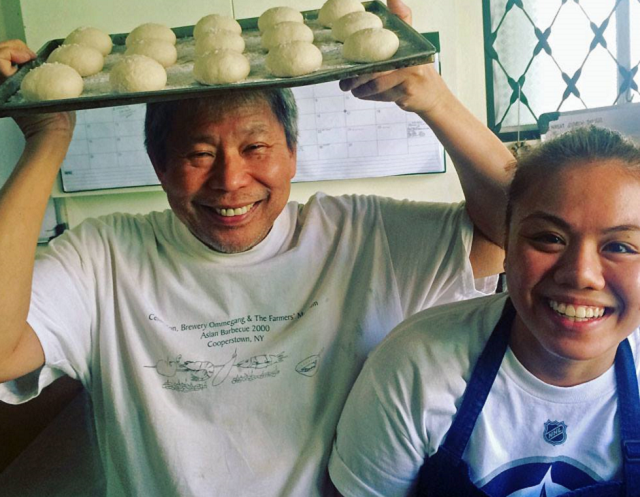 Besa thinks that key to sustaining the Filipino food movement is to create the demand for it. “If we want to make it permanent, we need to highlight high-quality ingredients abroad and create cottage industries at home,” Besa said. “Heirloom rice should have a market. My job is to make sure people like heirloom rice enough to eat—and maybe even crave—it,” she said. She later discovered that this philosophy of being as close to the source as possible is also a selling point, as more Filipinos are now willing to pay extra to support local livelihoods. “What resonates is that we’re supporting farmers and small producers,” Besa said. Besa’s newest venture is ice cream, which she hopes to produce in small factories in rural areas, using endemic milk and fruits. The National Dairy Authority would take care of the milk; Besa and Dorotan would play with flavors. Amid tough competition and a volatile economy, all businesses should attempt to start small, more so if you are launching abroad, Besa said. “You have to be small, low-capital, [and] flexible.” She cited as an example a Cambodian food booth in New York that people line up for, even during cold weather. Purple Yam is trying to replicate that food booth’s success through a stall in a popular mall in Pasay City. Besa said that her food booth is merely a way to test whether there is a market for a more accessible restaurant in the same vein as Purple Yam. “Not everyone can afford our degustation prices, so we’re selling paninis, ice cream, etc. to see if we can someday open a restaurant where we will serve the same food we cook at Purple Yam, only à la carte,” she explained. Adjustments have to be made in every new market, even for a known brand. Besa can vouch for how difficult it is to start a business, let alone starting anew. “Maraming sakripisyo (There are a lot of sacrifices). We didn’t make a ton of money out of [Cendrillon]. We barely survived. But at the end of the day, I can look at the mirror and tell myself that I did what I loved and that I helped people; I didn’t rip them off,” Besa said.